"We wanted to create a beautiful garden and oasis that is an extension of the Parkway and the Rodin Museum, one that is both an amenity for the residents and an enhancement to the neighborhood,” says Joe Sikora, principal at Sikora Wells Appel. 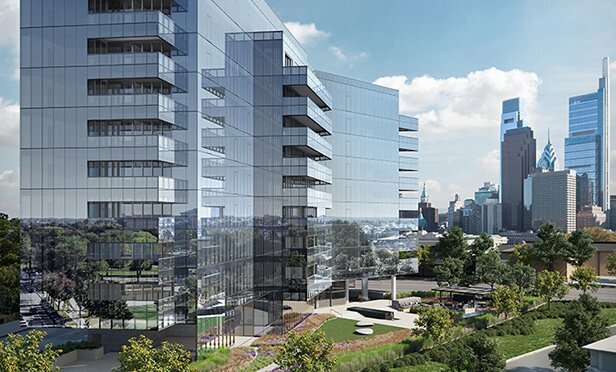 PHILADELPHIA, PA—Bock Development Group has retained Sikora Wells Appel to design an urban oasis and private garden for 2100 Hamilton, the exclusive new 10-story luxury condo building that will soon rise along the Parkway in Philadelphia. Sikora Wells Appel was chosen for its experience in creating tranquil, contemplative landscape environments, and legendary locales at Longwood Gardens, Villanova University, University of Pennsylvania, Temple University, and The Navy Yard.